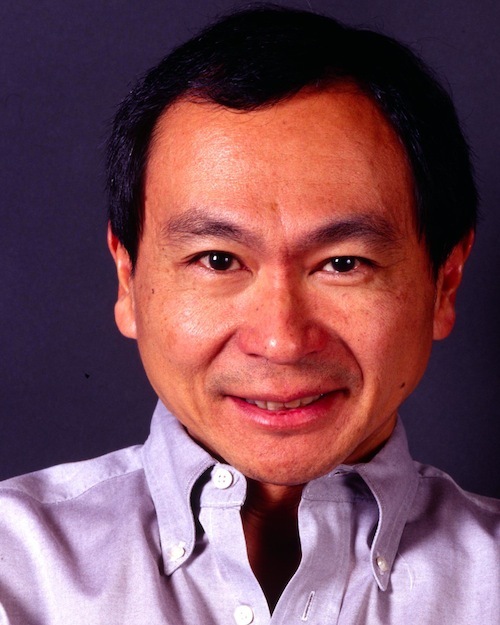 In March, Governance published Francis Fukuyama’s commentary “What is governance?” Over the last eight weeks, the Governance blog has posted several responses to this commentary. (See below.) Here, Francis Fukuyama replies. 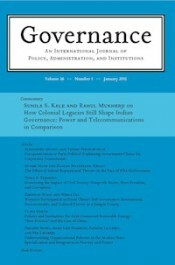 I’m very grateful to the journal Governance and its co-editors, Robert Cox and Alasdair Roberts, for publishing my piece, “What Is Governance?”, and to the many scholars and specialists who responded to it. The reaction has been very helpful to my own thinking, and hopefully will be the basis for more discussions to come. The vast majority of the comments centered around the criticism that I had chosen too narrow a concept of governance. This was a problem in two particular respects: first, that I had deliberately and inappropriately excluded substantive policy goals and normative criteria from my definition of governance (e.g., Visvanathan, Flinders, Kumar) and second, that I had defined governance as a characteristic of states, and within states of executive agencies, in a world in which governance is a function being provided by a wide variety of actors (e.g., Risse, Levi-Faur, Hale, de Renzio). These criticisms are quite correct if my original intention had been to write a paper broadly describing present-day understandings of the term “governance,” as I suppose was implied by the title of the paper. But the narrowing of focus in these respects was very deliberate on my part, for reasons that were poorly or incompletely articulated on my part. So let me proceed to do that now. This working paper arose out of a project that I have been running at Stanford for the past year entitled the Governance Project. Its purpose was to develop an empirical measure of the quality of government that would deliberately exclude democracy, focusing on the state’s ability deliver services and carry out policies. Such a measure would allow one to compare an authoritarian regime like China with a democratic one like the United States, and would allow us to then address the question of whether the presence or absence of democracy affected the quality of government. Taking this approach did not reflect a view on my part that democracy was not good thing in itself, or that I somehow want to engage in “value-free” social science. But the relationship of democracy to state performance is one that ought to be evaluated empirically, rather than assuming definitionally that democracy is an intrinsic part of something called “good governance.” Not surprisingly, it was the commentators from Asia (Sheng, Mahbubani, Lan Xue) who picked up on the fact that the real target of this exercise was better evaluation of governance in China. I also deliberately wanted the measure to focus on implementation rather than substantive policy. Having worked in and around government and public policy institutions my whole career, I’ve come to see how high-level public policy gets far more prestige, resources, and attention than does old-fashioned public administration. Indeed, simply uttering the words “public administration” aloud will cause students to fall asleep and funders to race to the exits. Yet problems of implementation are at the root of poor economic and social outcomes all over the world. Governments routinely fail to deliver basic services like education, health, security, macroeconomic stability, or to fail to deliver them in a timely, impartial, and cost-effective manner. This is as true of the United States as of any developing country. These are valence objectives agreed to by virtually everyone, yet beyond the capacity of very many states to achieve. This is why I wanted to focus specifically on the performance of states. Government-like services are of course performed today by a wide variety of actors outside the state. Over the past generation there has been a broad effort to bypass dysfunctional states and create parallel service delivery mechanisms. Many failed states like Haiti, Afghanistan, and Somalia are in effect being “governed” by international actors (donor agencies, NGOs, and the like), while organizations like the Global Fund have taken over health functions from state ministries all over Africa. There has been a broad effort in developed countries to privatize state functions, develop public-private partnerships, and outsource many activities, including core security functions, to private contractors or NGOs. These initiatives are understandable and many are here to stay for good. But many of them are second-best solutions undertaken because we have given up the effort to reform the state itself. It remains the case that the provision of basic public goods is something best performed by well-functioning states, and unless we figure out how to fix the public sector, we will be left with band-aid solutions. One of the reasons that the Chinese-influenced parts of East Asia have had a big leg up in terms of development outcomes is their inheritance of Chinese traditions of stateness. China, Japan, Korea, and Taiwan have been able to take a functioning state for granted in a way that countries in other regions could not. Along these lines, I am a bit disappointed that more commentators didn’t take on the challenge in my piece to help think through the issue of bureaucratic autonomy as a key factor in state performance. Autonomy was the factor that links poor performance in low-income countries to that in high-capacity, high-income ones: generally speaking, the former have too much, and the latter have too little. However, levels of autonomy vary tremendously within individual countries. In the United States, the Federal Reserve, DARPA, the Centers for Disease Control, and a select few agencies are delegated enormous discretion and generally function at a very high level. Others, like the Environmental Protection Agency or the Pentagon when procuring big-ticket items are subject to crippling mandates that undermine their performance. I believe we need to abandon single-country aggregate numbers in favor of disaggregated measures, if not by individual agency, then at least by sector. This then raises the question of how to assess the level of autonomy in a particular government institution. I argued that the degree of autonomy was determined by the number and nature of mandates placed on a bureaucracy by the political principal. If this is a correct understanding, then we need measure not just the number of mandates, but their coherence, how detailed they are, what kinds of functions they prescribe, and the like. There’s no mechanical way of doing this. Could we begin by assessing statutory mandates? Could we set up structured interviews or surveys of officials? I would like to know if anyone has thought this through more systematically, because it is my intention to carry out such a data-gathering effort in China as part of the Governance Project. None of this is meant to be a defense of the Chinese or Singaporean models. Kishore Mahbubani’s assertion that the high quality of Chinese governance is evident from its outputs can be taken seriously only if aggregate economic growth is the sole index of success. If one scratches below the surface, there are huge deficits in environmental protection, food safety, security of property rights, and a host of other areas that Chinese citizens care about. The economic model itself is unsustainable and heading for a major crisis as China tries to move from middle- to high-income status. As I tried to indicate in my paper, China is on the downward-sloping right-hand side of the inverted-U relating bureaucratic autonomy to government performance. It needs to reign in the autonomy of its party-state through an expanding rule of law and, ultimately, democratic accountability. The latter is necessary not just as a normative or intrinsic good, but for the sake of good government performance. If China doesn’t do this, it will not be able to guarantee continuing social and political stability. I don’t think the “Asian mind” is so impenetrable as to obscure the handwriting that is on the wall. Francis Fukuyama is the Olivier Nomellini Senior Fellow at the Freeman Spogli Institute for International Studies at Stanford University. His books include The Origins of Political Order (2011) and The End of History and the Last Man (1992).